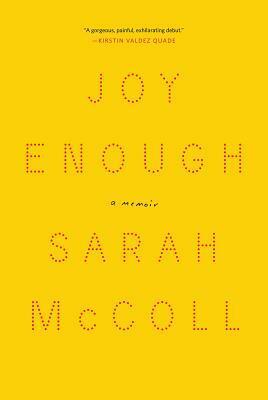 Sarah McColl discusses her new memoir Joy Enough. Sifting gingerly through memories of her late mother, brilliant newcomer Sarah McColl has penned an indelible tribute to the joy and pain of loving well. Even as her own marriage splinters, McColl drops everything when her mother is diagnosed with cancer, returning to the family farmhouse and laboring over elaborate meals in the hopes of nourishing her back to health.